The X3 is a type of Hall thruster, a design that uses a stream of ions to propel a spacecraft. Plasma is expelled to generate thrust, producing far greater speeds than are possible with chemical propulsion rockets, according to NASA. A chemical rocket tops out at around five kilometers per second (1.86 miles/sec), while a Hall thruster can reach speeds of up to 40 kilometers per second (25 miles/sec). This kind of increase is particularly relevant to long-distance space travel, like a prospective voyage to Mars. In fact, project team leaders project that ion propulsion technology such as this could take humans to the Red Planet within the next 20 years. 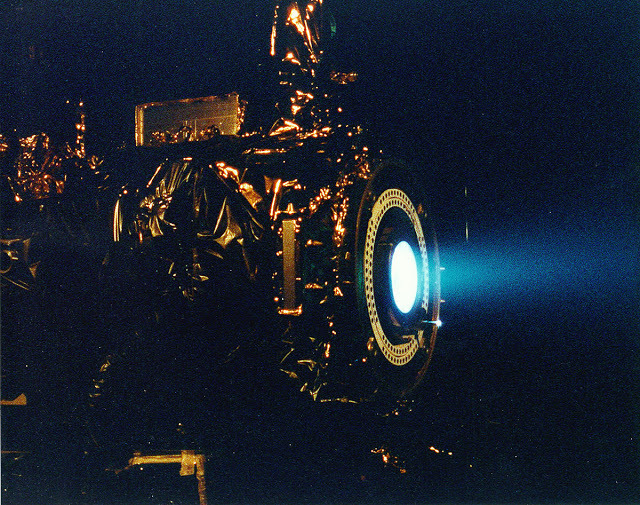 Ion engines are also more efficient than their chemical-powered counterparts, requiring much less propellant to transport a similar amount of crew and equipment over large distances. Alec Gallimore, the project lead, stated that ionic propulsion can go around ten times farther using a similar amount of fuel in an interview with Space.com. There are of course many other forms of deep-space travel on the table. The flaw of chemical-based designs is the need to bring the chemical fuel with them into space, which adds more mass that needs more fuel to lift into space, and so on. A Bussard ramjet, which is a type of fusion rocket, collects diffuse hydrogen in space with a huge scoop, which means, since its fuel is picked up en route, that it could approach light speed. However, engineers are attempting to mitigate these issues with the X3 design. Multiple channels of plasma are being used rather than just one, but the current challenge is producing an engine that’s sufficiently powerful as well as being relatively compact. While most Hall thrusters can be picked up and carried around a lab with relative ease, the X3 needs to be moved with a crane.In 2018, the team will continue to put the X3 through its paces with a test that will see it run continuously for 100 hours. 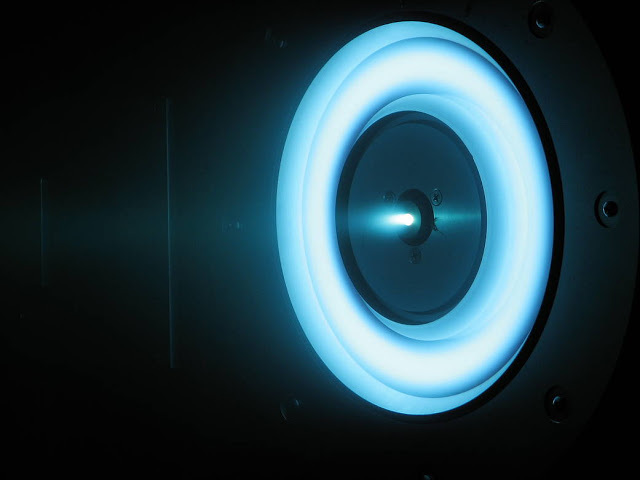 A shielding system is also being developed that would prevent plasma from damaging the walls of the thruster, allowing it to operate for even longer, perhaps even several years at a time.